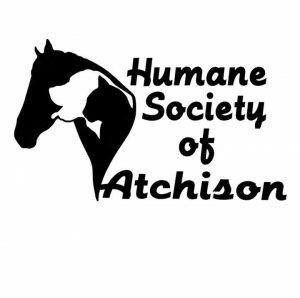 The Humane Society of Atchison is a no-kill shelter founded in November, 1991. We accept animals according to space, so every adoption saves two lives, the one that got its fur-ever home, and the one that gets to take its place in the shelter. We currently house anywhere from 50-70 animals daily and save about 600 pets a year. Because our shelter is located in a less populated area, we depend on the internet for most of our adoptions. We also survive 100% off of donations and always appreciate any help we get, from volunteers to donations. If you can find it in your heart and budget to help out our critter friends as well as the human ones we will be “fur”-ever grateful.